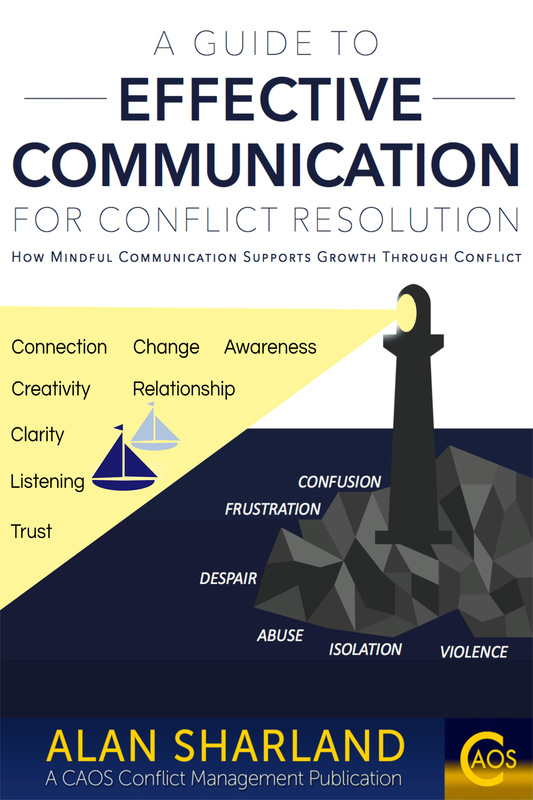 A Guide to Effective Communication for Conflict Resolution enables the reader, first of all, to just notice their present approach to communication. 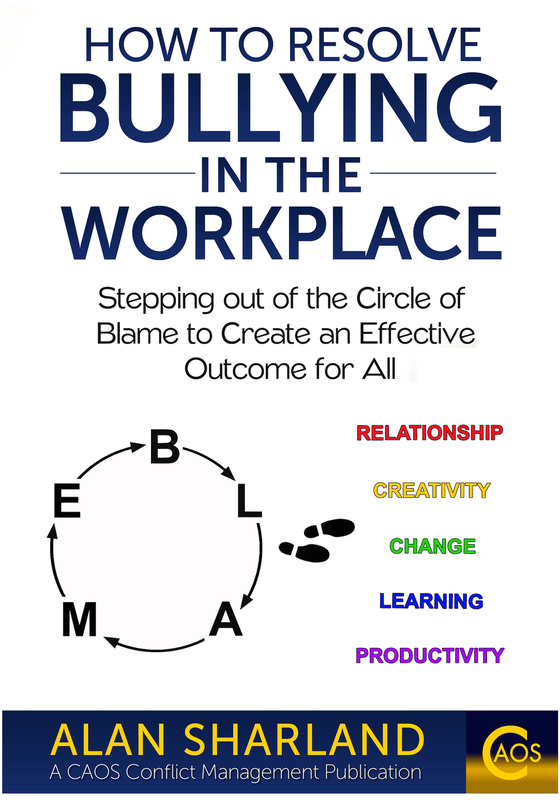 It introduces 9 Principles of Effective Communication, explains them through examples and then encourages the reader to practise the Principles in their own communication. In essence the Principles are simple, but they are personally challenging because they cause us to reassess what may be common practices in our everyday communication. It is important to notice these common practices in ourselves and others first of all, to see how prevalent and unconscious they are. Once we have become more conscious or ‘mindful’ about our communication we can apply the Principles to our day-to-day interactions and see the difference in others' responses to us, as well as in our own contributions to communication. We then see how practising the Principles can lead to a greater sense of connection and more creative responses to the inevitable conflicts we experience with others. Alan Sharland has been a Mediator since 1994, starting as a volunteer Mediator for Camden Mediation Service in London, UK. Prior to this he was a Teacher of Mathematics in a Secondary School in Camden. His involvement in mediation arose from trying to understand more about conflict as a result of a pupil from the school he worked in being murdered by a group of youths. Many of his pupils had been involved in violence either as victims or perpetrators and sometimes both. Working with people involved in destructive conflicts in his role as a Mediator enabled Alan to recognise common behaviours and approaches that typify ineffective responses to conflict. Mediation seeks to enable more effective responses to be created by those involved in a dispute, complaint or other difficulty. Observing how participants in the mediation process moved on to create more effective ways forward for themselves gave the material for the content in this book and evolved into the Principles that inform how Alan practises as a Mediator and Conflict Coach and how he trains others to be Mediators and Conflict Coaches. 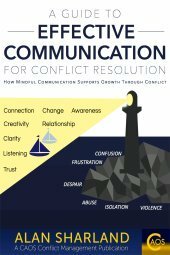 If you purchase A Guide to Effective Communication For Conflict Resolution, please let me know your thoughts afterwards and also please leave a review on Amazon. "Alan is not only an extremely experienced and knowledgeable trainer but also immensely skilful at managing and holding groups. Over the years he has devised and developed a unique way of teaching conflict resolution techniques which has wide appeal. In my opinion there are few people in this country (UK) who are as skilled both as a practitioner and leading advocate of conflict Management and Conflict Resolution as Alan Sharland. He has an excellent reputation in the field." Please click this link in order to purchase the book. Attend CAOS Conflict Coaching Training and learn the skills needed to practise in this newly developing field of conflict resolution support.